Spain’s community of gitanas (‘gypsy’ or Roma women) has been given an online voice and channel for communicating among each other and with Spanish society through a new website, Gitanas avanzando (“Gypsy women advancing”), developed by a team of 13 Roma women with training and assistance provided through a program of technology education for vulnerable women in Spain. The website, developed over a six-month period during which the women were provided with digital training by Spain’s association for women in technology, Womenteck, was made possible through the EDYTA technology education program of Fundación Orange, the philanthropy arm of the global telecommunications company, Orange. The GitanasAvanzando.com website was created by the Roma women themselves as part of the training course designed to make them more employable through development of new digital and online skills. The women decided the aim of the new site would be to help empower Spanish gitanas by providing them with an online voice that would help to change the image of them held by society, while showing that in defending their rights and working toward a better future for their community, Roma women in Spain can also become a reference for other Spanish women, using the internet as their tool. The six-month course resulting in the website’s creation included training for the women in digital content creation, establishing a digital identity and a personal brand, and the creation, management and modification of digital documents and online content. The website created by the team includes sections that provide stories of inspiring and visionary Roma women, describe how Spain’s gitanas are working to advance their standing in Spanish society and share information on how to work online and offline to break societal stereotypes about Spanish gypsies and, in particular, gypsy women. 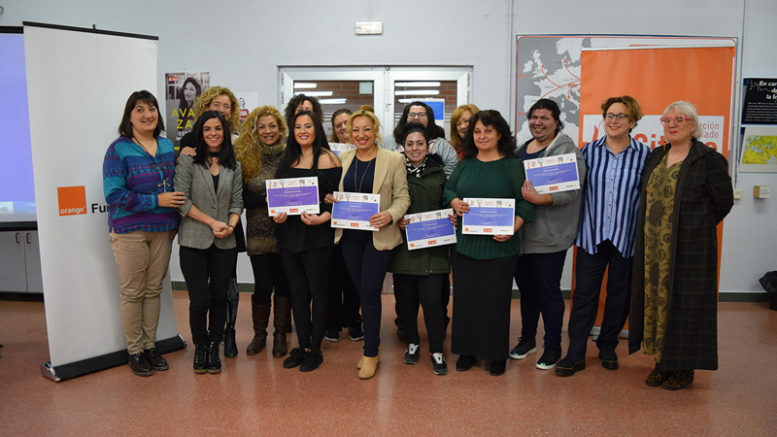 In addition to Fundacion Orange, the technology training provided by Womenteck also received support from Spain’s Fundación Secretariado Gitano, which since the 1960s has worked to end discrimination against Spain’s Roma community and advance promote the access of Spain’s gitanos to the same rights, services, goods and social resources that are made available to all other Spaniards.